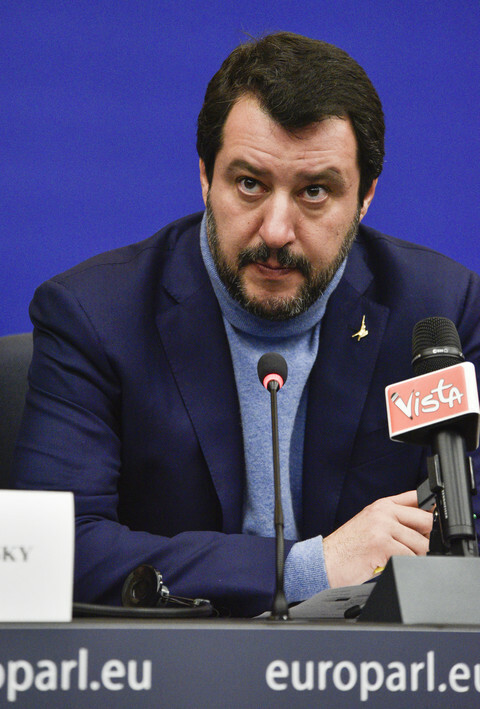 The rise to power of Matteo Salvini, Italy's new interior minister, has been fuelled by a nationalist rhetoric which singles out migrants as its preferred target. The League leader's sales pitch to voters has always been elementary: reduce the number of new arrivals and immediately deport all those who have no right to stay in Europe. In order to fulfil his promises, however, he needs to save the good bilateral relationships with the migrants' countries of origin: this is the only legal way to push the irregulars back home. But from a diplomatic perspective Salvini is already putting at stake Italian (and European) relations with Tunisia, one of the countries which receives most returnees. 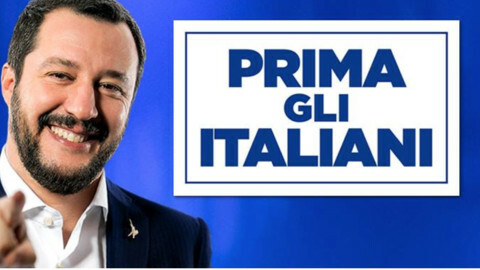 On 4 June, Salvini claimed that Tunisia is exporting "convicted criminals" to Italy. 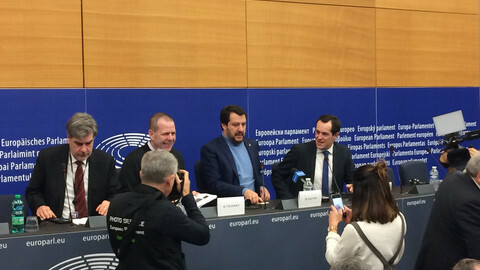 In the same speech, Salvini indicated a figure of 40,000 Tunisians irregularly staying in Italy who must be repatriated. Despite the marked difference in style, Salvini's line on migration is actually not too distant from that of the European Commission, which for the last two years has been pushing for a dramatic increase of forced returns. The increase is not going to stop in the near future: there is a brand new 2021-2027 €10.4bn asylum and migration fund. 40 percent is earmarked for returns. 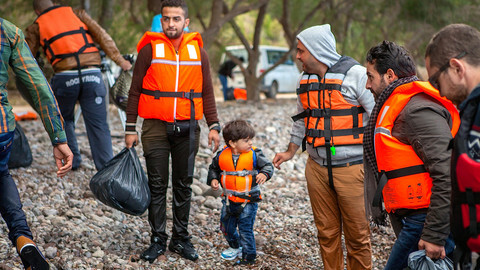 "People who have no right to stay in Europe must be returned to their countries of origin," said the European Commission president, Jean-Claude Juncker, last September at the state of the union address. "When only 36 percent of irregular migrants are returned, it is clear we need to significantly step up our work." In attempting to achieve its ambitious targets, the commission has repeatedly expanded the mandate of Frontex, the EU's border and coast guard agency, which now has more power and financial resources than ever to support individual member states in forced return operations. The promise of sending record numbers of migrants packing, however, has to face the reality of how returns work. In May 2017, EUobserver revealed how, on average, the EU had been spending around €5,800 for every individual forcibly sent back to his home country, with some cases costing up to €90,000 per head. But the issue with the mass deportations touted by Salvini does not stop with money. At the heart of the system are the readmission agreements with countries of origin. Only thanks to such understandings, can EU states confirm the returnees' identities, issue the required travel documents and obtain assistance from local authorities once the deported people reach their destination. The commission has concluded readmission agreements with 17 third-party countries - most of which are Eastern European. On top of those, there are bilateral ones reached by individual member states. Italy, for example, relies on such deals for forced returns to five African countries: Nigeria, Sudan, Morocco, Egypt and, crucially, Tunisia. Italy and Tunisia signed a landmark accord in April 2011, in the midst of an escalating influx of migrants from the country following the fall of its ruler Zine El-Abidine Ben Ali. 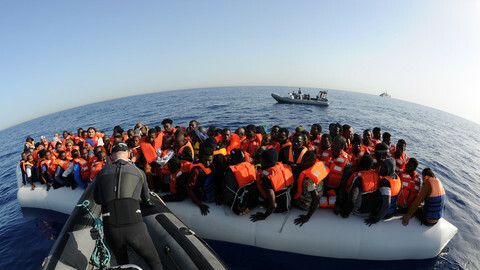 Negotiated by the then minister of interior, Roberto Maroni, a member of the League party like Salvini, the deal introduced a fast-track procedure for the readmission of Tunisian irregular migrants into their home country. 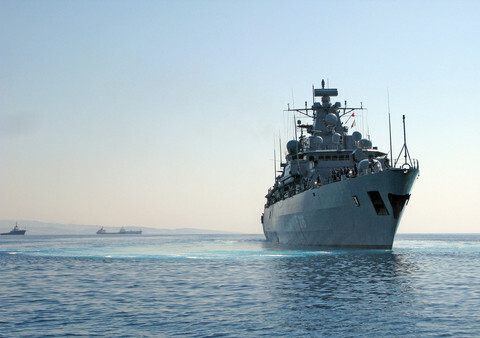 In exchange, the Italy government donated military and security equipment to their Tunisian counterparts. A further agreement to step up the number of returns to Tunisia was reached in January 2017 during a visit to Tunis by Marco Minniti, then minister of interior in the Italian centre-left government. 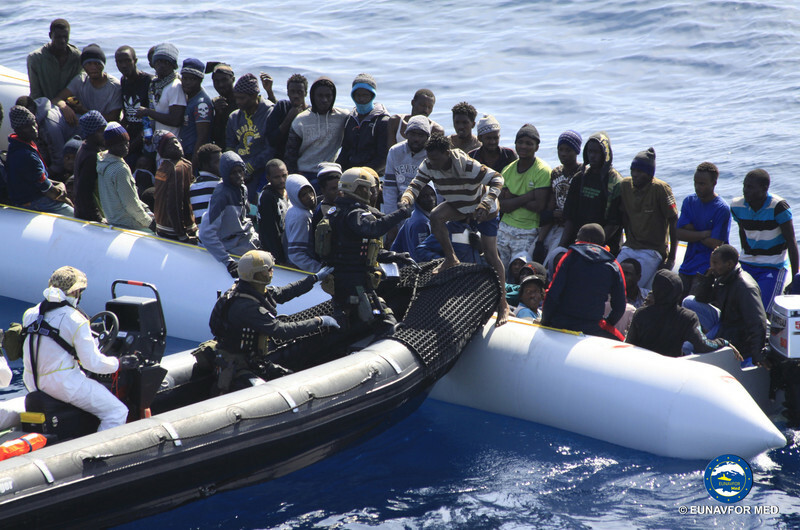 Frontex has played an increasingly central role in Italy's return operations to the country. Over the last year and a half, in fact, removal flights bound to Tunisia have been coordinated and co-financed by the EU agency. According to data provided to EUobserver by Frontex, in 2017 it supported 56 return operations carried out by Italy with a total cost of over €4m. Eight out of ten of those were directed to Tunisia. On average, between 25 and 40 people are removed on a single flight, where are usually present two guards for each returnee. 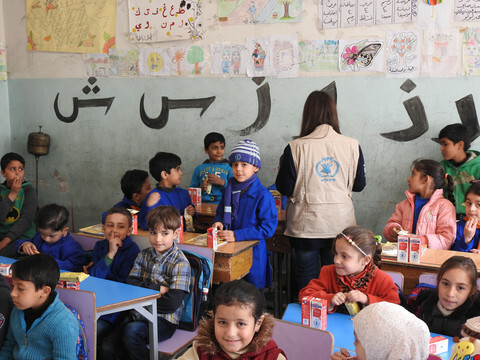 "Rumours circulate also about the possibility to increase the quota of returnees up to 80", says Stefano Torelli, researcher at the Institute for International Political Studies (ISPI) in Milan. This implementation hasn't taken place, at least yet. One of the reason of the failure in this upgrading is probably to be found in the straining of Italian-Tunisian relations. "Salvini's statement generated harsh reactions in Tunisia: [some MPs from] the national parliament asked for a formal apology", explained Habib Sayah, co-founder of Intric8, a Tunisian consultancy in security issues. Italian former interior minister Marco Minniti complained in an interview on the Partito Democratico website - its own political party - about Salvini's statement. "As soon as I was sworn in as interior minister, I headed to Tunis and Tripoli to make deals and strike up good relationships with those governments", Minniti said, stressing that the Tunisian government was the most cooperative with Italy. Even with Minniti, however, the diplomatic relations were getting worse, as he pointed out the risk of a jihadist flow from Tunisia to Italy: "what only a few months ago seemed impossible, that ISIS fighters could board rickety boats, is now becoming plausible," he said to Die Welt in January 2018. Since then the speculation of a new flow of returned foreign fighters to Italy was based on some investigations run by the Italian anti-mafia investigators. "The possibility of this route is very concrete but we have to stress that up to now there is no evidence of jihadists who reached Italy through ships from Tunisia", states Stefano Torelli from ISPI. The alarm raised by Minniti and the anti-mafia investigators is based on two main factors. The first one is that Tunisia has a strong track record of returning foreign fighters. According to the latest ISPI report, 40 out of 125 foreign fighters which passed through Italy were born in Tunisia. The second key factor is the existence of a route of 'undetected boats' linking Tunisia and Sicily: three hours sailing, to dock in the middle of the night without being traced by any authority. This phenomenon has been known at least since 2014, but only recently appears to be more consistent. Of course, the social and economical situation in Tunisia is a strong 'push factor' for migration generally: Tunisians are, for first time since 2011, the predominant nationality among the migrants who reached Italy in 2018, totalling 2,946, according to the daily statistics from the Italian interior ministry (on June 13). Since June 2017, prosecutors in Sicily have been carrying out an ongoing investigation named 'Scorpion Fish'. It has led, so far, to two sets of arrests, totalling 20 people now on trial. 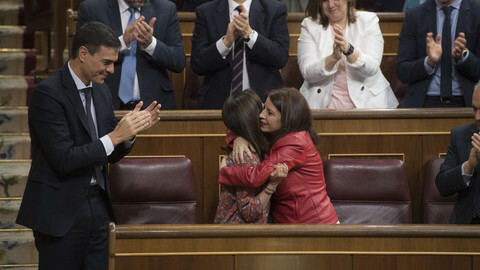 According to the first indictment issued by the Palermo prosecutors Claudia Ferrara and Federica La Chioma, the alleged criminal gang dismantled had connections in Tunisia, Italy, France and Belgium. The group organised several trips by boats to Sicily and then mostly from Italy to France and Belgium, where prosecutors suspected they could have met with radicalised organisations. How will power swap in Italy and Spain change EU balance? Data released from Frontex shows the truly astronomical costs of deporting migrants from EU to their countries of origin. Coming weeks will be key to see how Giuseppe Conte and Pedro Sanchez can influence the bloc's policies. The leader of Italy's League party described the European Union as destructive and warned people would "take back their identity" in upcoming European Parliament elections. Efforts to reform 'Dublin', a regulation that determines who is responsible for asylum applications, remain mired in controversy. But other less contentious reforms that make up EU asylum laws have already reached provisional agreements.